A dedicated martial artist spends hours upon hours training, sweating, striking, sparring, throwing, and rolling. They look forward to time on the mat and reaps the mental, emotional, and physical benefits of his or her chosen sport. But every once in a while a change in routine can be just what a martial artist needs. So what are the best sports to complement your martial arts training? Something that you need to consider is how you need to condition your body to improve your martial arts performance. Do you want to improve your speed? Do you need to be more flexible? It’s also just as important to include activities that are more restorative and gentle to counteract the pressure and strain you may put on your body from hard, repetitive training in one area of focus. 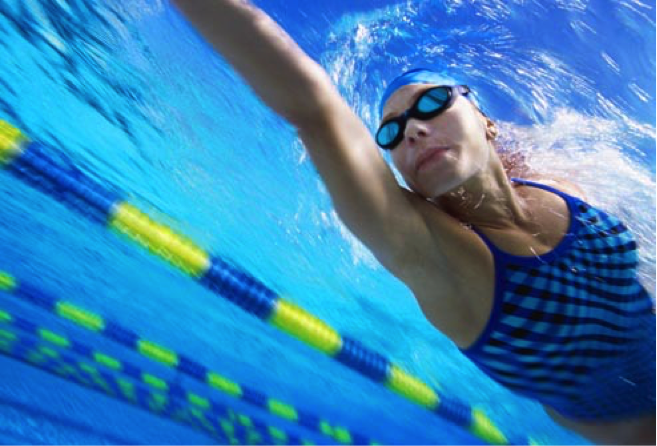 Looking to add a complementary sport to your training and aren’t sure what to do? 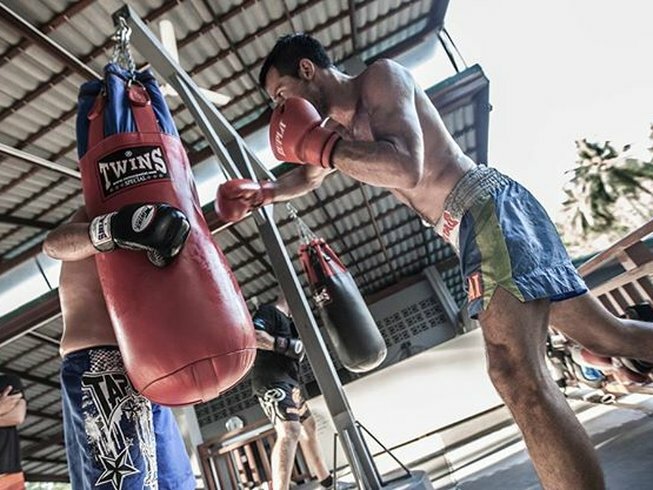 Start with the types of conditioning that just about all martial artists need. Here are just a few suggestions that you may want to look into: cardiovascular, strength, and flexibility workouts. From there you can prioritize based on the needs of your chosen discipline(s). Every martial artist needs a healthy heart and lungs for long-term endurance and bursts of speed and power. Depending on your martial art you may be more geared towards aerobic or anaerobic exercises although many martial arts have a combination of aerobic and anaerobic components. Aerobic sports, which target long-term endurance, include running, swimming, cycling, cross country skiing, and typical exercise classes at most gyms. They can be low impact activities such as walking or higher impact, such as long-distance running. You want to look for an activity that raises your heart rate for an extended period of time. Anaerobic activities, which are performed at a high intensity for short periods of time, can be useful for improving speed, agility, and power. If you spar, whether it is grappling or striking, you want to look for activities that require power and quick changes in direction. Tennis, boxing, circuit training, and even doing sprinting intervals with aerobic activities such as running and swimming can help improve your speed and quick bursts of strength. As a long time Taekwondo practitioner, my chosen sport for improving my cardiovascular health is swimming, which aids both my long-run endurance and sprinting capacity. Putting in an hour to an hour and a half in the pool helps me power through long taekwondo classes (and black belt tests) full of drills. Meanwhile, a lap or two of butterfly stroke gets my heart pounding just as a short but intense sparring match would. 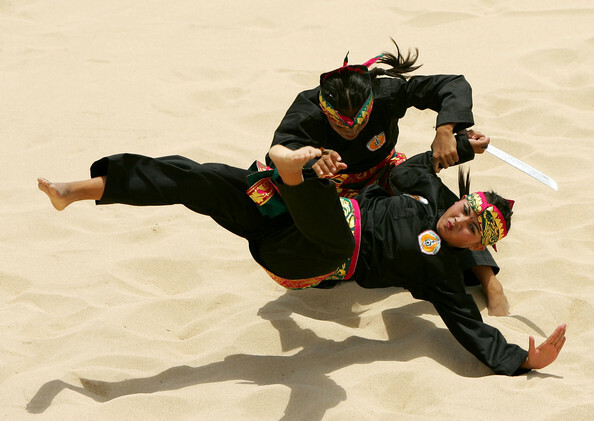 Martial artists have to push, pull, lift, throw, resist, and strike in addition to moving their own body weight. 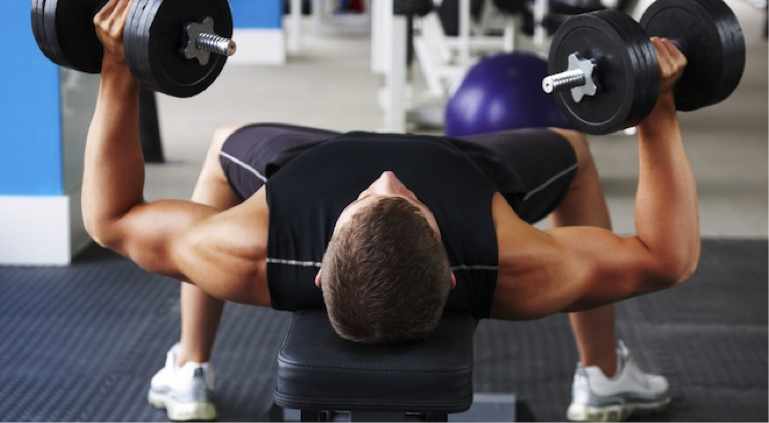 Strength training is important for building muscle, improving explosive power, and in some instances (with the guidance of a trusted health professional) can be used as a therapeutic treatment for injury. There are a variety of strength training exercises a martial artist can do with both weights such as dumbbells and kettle bells or using your own body weight, such as push-ups and pull-ups. 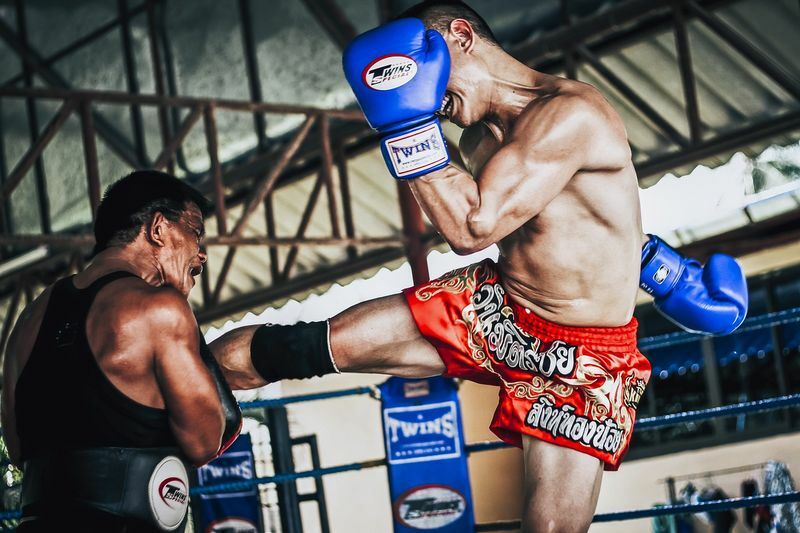 A quick search on the Web can help you find exercises appropriate to your martial arts of choice whether they are Muay Thai, Brazilian Jiu-Jitsu or other practices. For me, I prefer to take ballet barre classes at my local gym – this may seem a bit unorthodox for building muscle and a far cry from typical martial arts training. However, it’s actually been one of the best complements to my taekwondo practice. Dance, like many martial arts, is highly technical and requires awareness of intricate body motions as well as a reliance on the larger muscle groups. Having studied dance in college, I was comfortable with basic ballet movements and picked up the techniques easily. The repetitive leg lifts that are often performed standing in relevé (on the balls of the feet) are an amazing workout for my core and legs, which I rely on for speed, balance, and strength in taekwondo. It also gives me a chance to stretch and lengthen out my body, which is a nice break from the usual compact fighting stance I hold during practice sessions. Flexibility is not only essential to prime martial arts performance, but it’s also important to maintain over time to protect the joints and muscles and reduce the risk of injury. 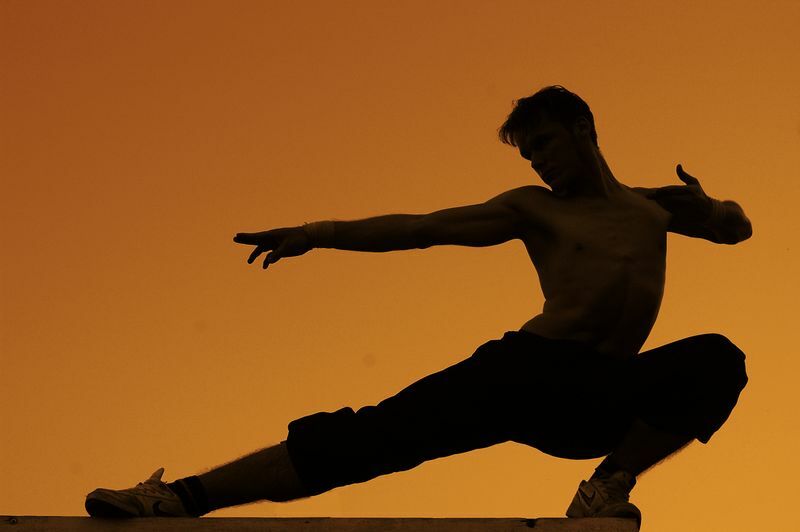 Many martial artists have embraced yoga as a complementary activity to their practice. Before the angry yogis start writing in, let me be clear. Yoga is NOT a “sport.” Yoga is a centuries-old practice of disciplining the mind and body through breath, physical postures (asanas), meditation, and philosophical principles. That being said, the physical postures, breathing techniques, and meditative aspects can help you maintain a body that is supple and a mind that is quiet and focused. If you’re not able to attend a yoga class you can find videos, podcasts, and articles with sequences of poses. Yoga Journal has several beginners’ series. My favorite podcaster is Chaz Rough and his YogAmazing videos. Be sure to check them out for gentle to intense yoga series, depending on your body’s needs. Still not sold on yoga? At least make time to stretch at home, and include a variety of dynamic and static stretches. Although many of us don’t make time to do it, stretching and cooling down after your martial arts practice can speed up recovery time and help your body wind down and relax after intense training. But What Exactly is the Best Sport for Martial Artists? The best sport to complement your martial arts training is actually…whatever sport(s) you prefer! It’s great if you find an activity that improves your training and physical conditioning, but first and foremost you should do what you enjoy and makes you feel good. As much as I benefit from swimming, ballet barre, and yoga I primarily do these activities because they’re enjoyable, relaxing, and give me a mental break from the hours I put into taekwondo training. Make having fun your priority rather than finding the ‘perfect’ match. You’ll likely find that the emotional and mental benefits of cross-training with activities you inherently enjoy doing will help you feel refreshed when you return to your martial arts practice. Find that sport that will complement your practice while going on a luxurious adventure! Through the various martial arts vacations offered on BookMartialArts.com, you can expand your horizons through travel and trying something new. Your body (and mind) will certainly thank you for it!